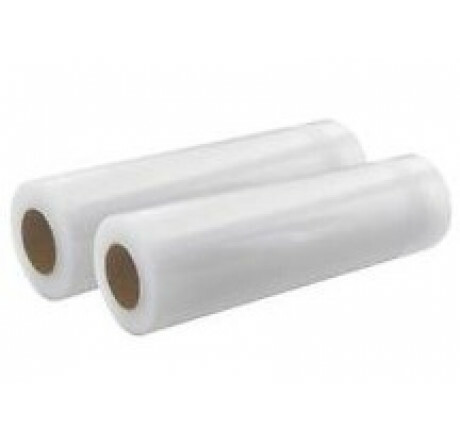 Package of 2 premium embossed/textured food-grade rolls for making bags/pouches. Suitable for all common vacuum sealers. Each roll: 20 x 600cm. Our economical vacuum pouch rolls give you the convenience and flexibility of making food-grade cooking pouches exactly the size you need, when you want them. Just cut the roll to the desired length, seal the end, fill the pouch, and vacuum/seal! No waste! Perfectly sized to fit what you want to cook each time. These rolls have an embossed/textured back and a clear front. 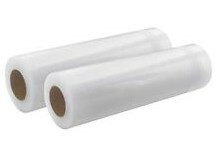 Almost all external suction vacuum sealers require embossed (or sometimes called channeled, textured or ribbed) pouches, i.e. a crisscrossing effect in pouch to allow the appliance to work properly.